After years of heavy state direction in the economic sector, Tunisia is now in the middle of a period of economic liberalization and reform. 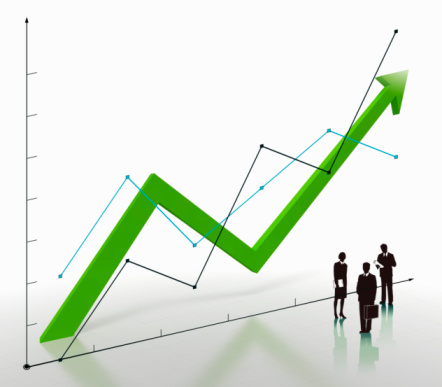 Steady growth can be observed due to deliberate fiscal planning during the past decades. By now, according to statistics on the internet (e.g. The World Economic Forum 2011/2012 Global Competitiveness Report), Tunisia ranks first in Africa and 40th worldwide. Thus, Tunisia is well ahead of e.g. Greece (90) and still ahead of Italy (43). One of the main economic sectors in Tunisia is Tourism. The association Tunisia/Tourism comes quickly to mind because everybody knows Tunisia as a country with palms and beautiful beaches where anybody is given a warm welcome. But the current economic wealth and prosperity is not only due to tourism. On the contrary, theTunisian economy is quite diversified and Tunisia’s economic growth is historically based on different sectors, such as oil, agri-food products, phosphates, car parts manufacturing and, of course, tourism. Now that Tunisia, as one of several Arabic states, has traversed a period of political revolution, economy could change considerably as well. Of course, the main sectors won’t change quickly, but the system in general has now the opportunity to pass through a number of large-scale changes. One of the main problems in Tunisian economy, affecting seriously the private sector, is corruption in the public domain. Contrary to the first impression one might have, it was not only Ben Ali and his family members who exchanged support for favors (e.g. access to social services), but the issue of corruption goes far beyond the regime’s inner circle and can be found in large segments of Tunisian society. This problem faced and resolved, Tunisian economy will surely continue to prosper thanks to a growing private sector and an efficient public sector.